The Rules of Golf are tricky! Thankfully, we’ve got the guru. Our Rules Guy knows the book front to back. Got a question? He’s got all the answers. My ball landed in soft sand in a greenside bunker. My first escape attempt moved the ball mere inches. My second swipe buried the ball, and I brushed away enough sand to reveal its top. On my third try, I lost sight of the ball and its location while burying my wedge in the sand. My buddy said the ball was beneath a few inches of sand, just above my wedge. I delicately removed my club, swung one more time, and out popped my ball onto the green. Did I break any rules? —HAROLD M. ROBBINS, VIA E-MAIL Luckily for you, there's no "Three strikes and you're out" rule in bunkers. First off, all four swings at the ball obviously count. 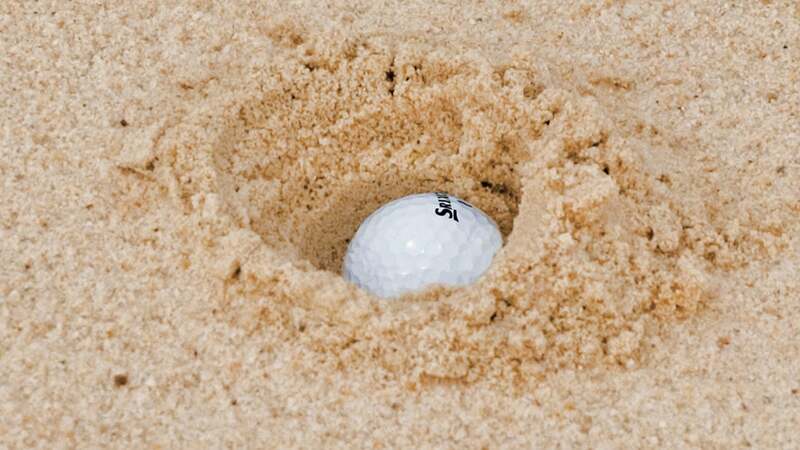 Before your third attempt, if you weren't sure where the ball was, Rule 12-1a gives you the right to remove some sand in order to locate it. This shot may look impossible, but it's not! Once you find it, you need to re-create the lie, although you may leave a small part of the ball visible. You could have done the same before swing No. 4 if you didn't know where the ball was. And provided you didn't cause the ball to move when you extracted your club from the sand, you're all good — no penalties to be had. Rules Guy: If I lose my ball in the leaves, am I entitled to free relief? Oh, and I hope you drained the putt. Nothing kickstarts a round like a good up (and up and up and up) and down. Got a rules question? Of course you do! Whatever it may be, send yours to [email protected] and the question may be answered in an upcoming issue of GOLF. Until then, play by the Rules!